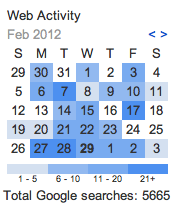 52 Fridays 2012 – #7 Do You Know What Google Is Doing With Your Online Horsebiz History? 52 Fridays is an ongoing series for equestrian professionals and equine business owners and managers, with marketing and public relations stories, ideas, tips, and resources shared here each Friday. Some say it’s a way for marketers to get their product or service in front of a consumer through highly targeted online ads; others call this move by Google a massive privacy invasion. There are ways to minimize the data collected, but thus far Google’s not given users a way to opt out entirely. Is this legal? That’s still being debated. If you have a Google account, use Gmail/YouTube/Google+/Picasa/Google Maps, search the Internet using Google, or have an Android phone that requires a Google account and login, here’s what you should know about the data being collected regarding you and your horsebiz. But has Google gone too far? One example they used in the January 24th blog post announcing the privacy changes is that by having access to your daily plans through Google Calendar, Maps, etc., and having an understanding of traffic that day, Google can give you an alert that you’ll be late for a meeting. Some might like that option, others might think it’s Big Brother-ish. But there’s more. Content on one Google product will now affect ads you might see on any Google product. Google says they ‘may’ collect data such as your location (from your GPS data) and phone call information (from your smartphone), including who you called and how long you talked. They’ll be consolidating various ‘user identities’ so you’ll basically become one entity on Google, even if you’d prefer to have multiple ‘personalities’ such as a business one and a personal one. 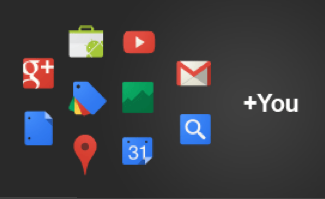 If your Google Profile is publicly visible, they ‘may’ show it to others, provided those people have your email address or other personally identifying information. Say what?! Continue to use Google products and sites, but adjust your settings to your own comfort level: You can do things like opt-out of having a ‘cookie’ with their Ads Preferences Manager, employ your Google Dashboard to adjust personal settings, or manage your Web History and Google Profile. Delete your Google account(s) (including Gmail): If you choose this option, you can migrate your existing data elsewhere under their ‘data liberation’ policy. Switch to other services, or use Google selectively: Many of us have come to rely heavily on Google, but there are other options. You can search Yahoo! or Bing, and sign up for free email elsewhere (here’s an About.com article that lists the Top 18 Free Email Services, from Heinz Tschabitscher). You can even log out of your Google account before you search if you’re doing something you’d rather not tell Mom about; data is still collected via your computer’s address but it’s less likely to influence ads and other results. While many are speaking out against what they view as invasive tactics and a loss of privacy, others are embracing the data collection. In The Style Blog from The Washington Post’s Lifestyle section, Maura Judkis writes about how some bloggers and artists are viewing their search history as an ‘inadvertent search diary’ that’s a part of their life experience, and even sharing it publicly with others. What do you think? Is Google’s change something that will make your life easier, your horsebiz marketing more effective, or do you think it’s just plain creepy? Images courtesy assorted Google sites and products. If you liked this article, you can pass it along via Facebook, Twitter, Stumbleupon, LinkedIn, and even by email with the Share button below, or Rate It to let others know if you found it to be a helpful resource. Read other 52 Fridays posts by clicking on the Sort Posts By Topic dropdown menu to the right and selecting a category. This article and the site contents are copyright Lisa Kemp and Kemp Equine, all rights reserved. Brands and trademarks mentioned are the property of their respective owners. Content may be linked to from your site or social media, but not copied, in whole or in part, without prior permission. It’s also good karma, and good ethics, to give source credit. Thanks. Excellent! I shared it on my Facebook wall, it explains things so well. Thank you, Dexter, for sharing the article! What’s No Biz Like Horsebiz™? No Biz Like Horsebiz began life back in 2005 as a monthly column in a print publication, helping create awareness within the horse world of the benefits of combining technology (including social media) with sound marketing practices to improve equine industry results. Here you'll find marketing and PR tips combined with substantive analysis and information. Read the About page for more who, what, & why details. If you like us here, now you can Like us on Facebook! Enter your email address to follow 'No Biz Like Horsebiz' and get NEW posts delivered to your email inbox. Not sure what RSS is? Do a Google search on 'define RSS' for more info. Please click the Contact tab to send me a message; I'll respond within 48 hours. Thanks!